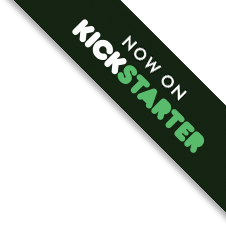 Released in 2015 after a very successful Kickstarter campaign, Trickerion - Legends of Illusion is a thematic, medium-heavy Euro-style game of rival stage illusionists with worker placement and simultaneous action selection. 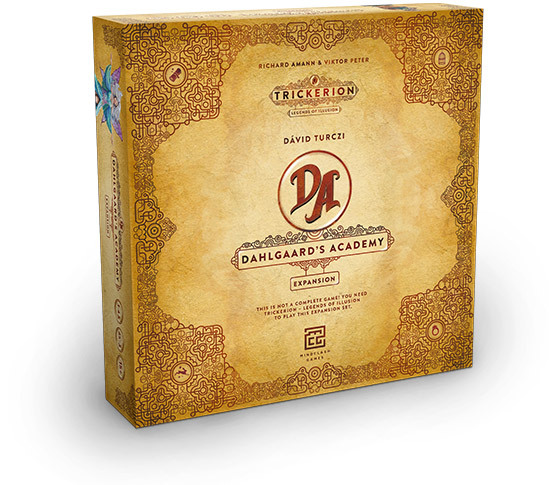 Dahlgaard’s Academy is the first big box Expansion for “Trickerion - Legends of Illusion” introducing the Academy, with new actions, magicians and game elements. Each Renovation action awards Fame and opens up new Classrooms and Practice Rooms, where Trick Markers can be placed. Trick Markers in Practice Rooms increase the Tricks’ Yields when they are performed, while the secrets of Tricks taught in the Classrooms grant a useful passive Yield each turn. The Academy is also a place to train your Protégé, a new member of your team. The Protégé is more than just a worker - he will accompany your Magician on their path to greatness, constantly developing in the process. Your Protégé can find powerful new Secrets in the Academy that also increase his Action Points! A fully developed Protégé will have 3 Actions points, just like the Magician, with some very powerful abilities too! This expansion will also feature a solo mode with an elaborate story setting. Experience an alternative timeline, where Dahlgaard’s Heir couldn’t resist the immense power of the Trickerion Stone, and dabbling with the supernatural has eclipsed her sanity. Magoria’s Golden Age is over - now the Heir controls it with an iron grip, and it falls to you to prove your superiority and remove him from power the only way the city knows: through magic and illusion. This solo mode features Dahlgaard’s Heir as a fully automated, intricate opponent with variable difficulty levels, a worthy foe to even the most seasoned Trickerion veterans! This expansion is a labour of love. I had Trickerion in my personal top 10 before I joined the team at Mindclash Games. Nobody told me the game needs an expansion, in fact most people understanding the complexities of its economy knew it didn't need one. Yet I felt, there was a story to be told. One thing I learnt from working with Viktor and Richard on Anachrony, is that if the story is compelling and the game mechanisms back it up, the rest will fall into place by almost itself. We have a city of magicians, they live, they grow old, they have kids. The kids want to be magicians too, I know I would... It would only make sense to have a school for them. So I closed my eyes and pictured this old, rundown building which we can open up and let a new generation of magicians discover the wonder. your excess actions to improve existing tricks happened in the Practice Room. Then came the hard part: figuring out how to not step on the base game's incredibly tight toes, and the result is an expansion that opens up new strategic optimisations to pursue, while feeling like it had always been there. Meet a new quartet of aspiring Magicians, eager to prove themselves in Mechanical, Optical, Escape and Spiritual illusion. Being the smallest daughter of rich Indian nobles, Anjali accompanied her parents to one of their many journeys to the West, but alas, she got lost in the swirling mass of people during a visit to a busy market. Since she was too small to remember where they lived and couldn't speak the local language, she never found her family again. Over the years she forgot her lineage and life as a noble girl and became part of a gang of pickpockets and thieves. She had an unmatched dexterity and sleight of hand, with time Anjali became a master thief, but where the others were out to get jewels and money she learned that stealing others secrets has often much more value. A stage magician gained her interest during a performance and she decided to join him, studying his tricks one by one, slowly realizing that the lifestyle of a glamour and lime-light is much more suitable for her - maybe a remnant of her childhood self - and learning that the secrets of magicians are just as valuable, if not more so, than that of ordinary people. She left the lowly magician behind and started to build her own show based on her mysterious heritage, becoming a renowned keeper of eldritch knowledge. Let your mind be illuminated! Lumenia’s performances usually have a theme, telling the story of a fairy tale or some other fantastic story. She is extremely apt in chaining her show elements together in most glamorous ways, keeping her audience in constant thrill and amazement. People love to return to her performances to be spirited away in an arcadian tale of her weaving. Ordinary folks know Lumenia as the ethereal Goddess of Light, she is the Child of Brilliance, not entirely from this world. This hearsay is only seconded by the fact that no one has ever seen her outside of the stage, she always disappears at the end of her show in a radiant column of light. The Magorian Soothsayer - one of the least reliable papers in Magoria - published an article in which an anonymous young man, claiming to be a former suitor, shared some revolting secrets about Lumenia. According to this source the Lady of Light is Lucille Hammond, the young daughter of an honourable noblemen, who allegedly run away years ago with some circus performers. After leaving the empty life of aristocrats behind, she became fascinated with the radiant world of illusions. 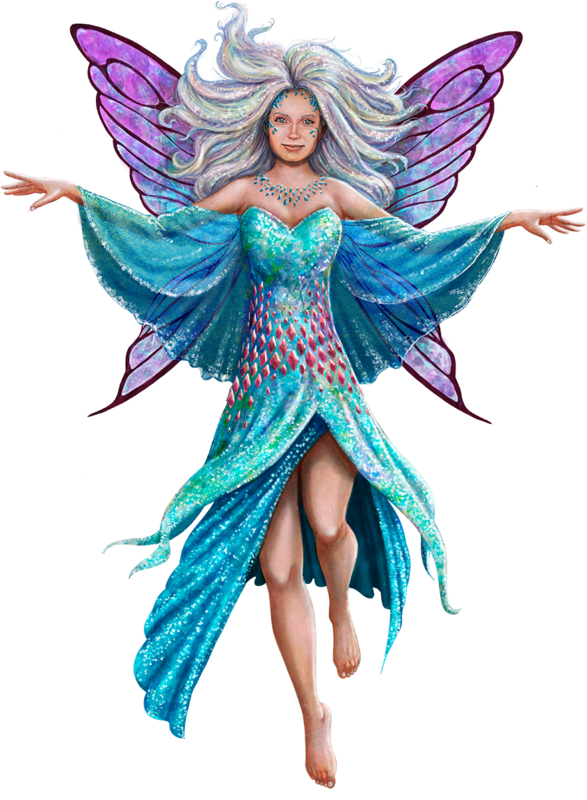 The young lady was bewitched by the tales of fairies and fantasy since early childhood, it is no wonder that she choose those creatures to create her own stage persona. Lumenia performed first as a member of the circus, but as her talents and ambition grew, she started to draw the light of attention to herself only. Her breathtaking shows of brightness and brilliance became her trademark, dazzling the spectators with a seemingly endless symphony of flashes and rays. Thus, the Lady of Light became well famed in all of Magoria and beyond. 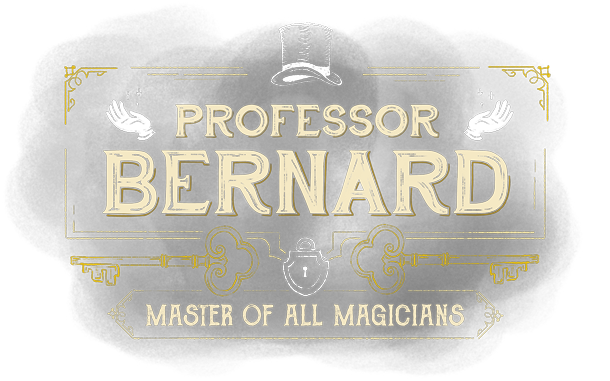 Professor Bernard is a famous mentor of young magicians, who gather from all corners of the world to learn from the Master of all Magicians. A modest, yet strict mentor, Professor Bernard’s sole aim is to spur his apprentices to absolute excellence. It is said that attending his classes is a certain entry for young illusionist to the esteemed stages of Magoria. Bernard Drudson comes from a modest background, a family of simple craftsman. He learned the trade of a locksmith at early age and became a well-known artisan. As the years went by, he married, had children and took on apprentices, tutoring them to become excellent artisans themselves, for Bernard loved nothing more than sharing his knowledge with eager students. As the new Golden Age of Magic dawned, Bernard received more and more peculiar requests from Magoria’s performers, which delighted him endlessly, being a man who is always up for a proper challenge. One day, he had a dispute with an upstart magician, who claimed that Bernard’s shackles were flawed and he almost drowned because of the mediocre craftsmanship. Bernard claimed that the tool was working perfectly fine, it is rather the upstart escape artist’s skill that is mediocre. The magician was outraged and challenged Bernard to a duel, which he accepted under the condition that it shall be a magicians duel: both of them using the same generic shackles underwater, the first to emerge to the surface wins, the loser is due a public apology and must forfeit his trade forever. The haughty magician accepted. Next day an incredible crowd gathered to watch the duel, Bernard showed his unmatched understanding of locks, freeing himself in mere seconds. The audience was awe-struck and the priggish magician left Magoria ashamed, never to return. From then on, young magicians flocked his workshop, begging him to teach them his ways with locks and Bernard, being a teacher at heart, agreed. It wasn’t long until he was invited to perform on stage and his show was met with thunderous success. Decades have passed since then and Professor Bernard – as he is known now in the magicians world – became incredibly versed in dozens of tricks and is to this day the world record holder of the fastest full Water Tank Escape ever performed. After the great legend passed away, Geert was inconsolable, until he heard about the plans of opening the Academy. He saw this as an excellent opportunity to build a lasting memorial for Dahlgaard, a place where his Legacy would live on forever. He plunged himself into supporting the renovation with his usual blazing enthusiasm, calling himself Scion of the Magnificent, for he has an exact vision how Dahlgaard would have rebuilt the Academy, and who else would be the inheritor of the celebrated legend’s will, if not his greatest fan? Geert van Augustin is the son of Ioachim van Augustin, one of the richest people in the world. Though he shares the family wealth with twelve siblings, Geert’s financial background is still near limitless. 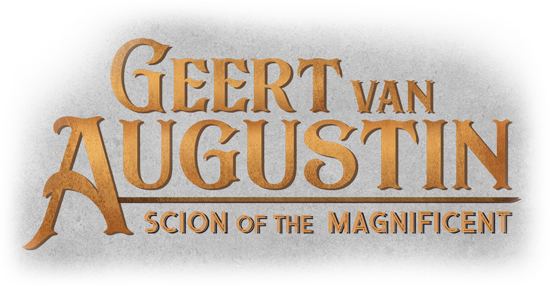 Surprising to many, but the van Augustin clan fully supports his fancies for magic, as long as it keeps him away from the family business, for Geert’s savvy for making money is quite diminutive compared to his capability of spending it. Geert was always fascinated by the life of Dahlgaard the Magnificent, stemming from the same country as the legendary illusionist, where admiration for the genius magician is only exceeded in Magoria, he was enthralled by his adventures. Geert is practically a walking lexicon of trivia about Dahlgaard’s life, he visited every place the great magician did, collects his relics, financed a book written about his life and is the president of the Dahlgaard’s Legacy Association, a group dedicated to revering the Masters memory. Once Geert learned that the Magnificent is alive, he immediately travelled to Magoria and started a career on the stage. Some magicians say, that he is an enthusiastic dabbler, some that an utter disgrace. It might be true that his talent is quite beneath that of his hero’s, but what he lacks in skill, he makes up for in grandeur. He’s shows employ breathtaking stage effect, bedazzling pyrotechnics, a plethora of assistants and so on, he often distributes free gifts at the end of his performances and holds fancy parties, making him quite beloved amongst the audience. As the grandiose contest to determine the Heir of Dahlgaard came to its conclusion, the great master magician stood one last time on the stage. In the bright column of the theater lights, Dahlgaard asked his Heir to assist him in his act. The amazing duo performed one miraculous trick after the other, baffling every spectator. During the final routine, a piercing white light exploded from Dahlgaard’s hand, staggering even the Heir. Strains of Dahlgaard’s hair turned silver by the second, his apt hands began to shake, his frame became frail, his melodious voice rasp. The Heir opened his palm and there it was: the Trickerion Stone. “You are its owner now, with it, I entrust to you our legacy of wonder. Let it be heard in all Magoria: I, Dahlgaard the Magnificent, leave my old manor to the magician community. Let it become an Academy, a place where masters of our craft can gather and teach the future generations. Let my legacy stand eternal and let illusion and marvel never vanish from memory. With that, the legend gave a grateful and kind smile to his Heir, bowed to the audience and his form started to turn to dust, like a figure formed from dry clay. Sudden darkness engulfed the theater, for a brief moment no soul moved. When the lights came back, Dahlgaard the Magnificent was gone, leaving only a faint trace of dust behind. People claim every now and then seeing Dahlgaard in a dark alley, around the Pig Inn or in the theaters; like they should be, for as long as one coin is deftly plucked from thin air, one card masterfully picked, no one should forget the legend, who brought the Golden Age of Illusion. As for the Academy – word of the initiative spread quickly, soon eager students flocked the peculiar building, celebrated illusionists volunteered as teachers and reconstruction works started. To their amazement, the ancient manor held many hidden rooms and signs only visible to a magicians eye, once uncovered, these could lead the lucky ones to some of Dahlgaard’s most prized secrets. The Heir proclaimed that the Academy should be renovated as a common effort of the Magician community, but whoever contributes the most, shall become the Patron of Magoria. As time went by, it became obvious that the Academy will need a senior leader. Dahlgaard’s Heir knew there is only one way to settle this question satisfying for both magicians and laymen: a contest of skill and show. Thus, the senior magicians compete once again, whoever excels above the others, shall become the Rector Magnificus of the Academy.